Even though Christmas is over and I have started to pack up all the Christmas decorations I am excited to share a great company with you. During the Holiday Gift Guide I got the great pleasure to receive a beautiful personalized glass ornament for my tree from GiftsForYouNow.com. 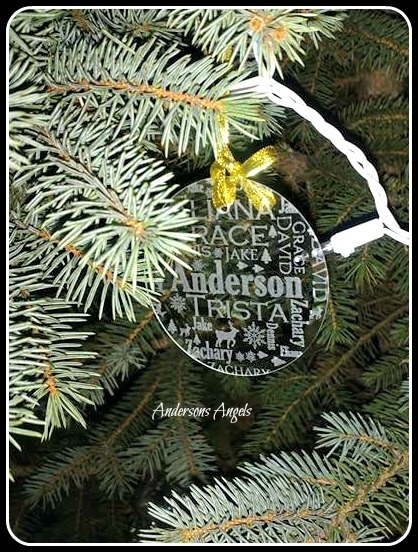 I am in love with the personalized ornament because it is personalized with my families names. 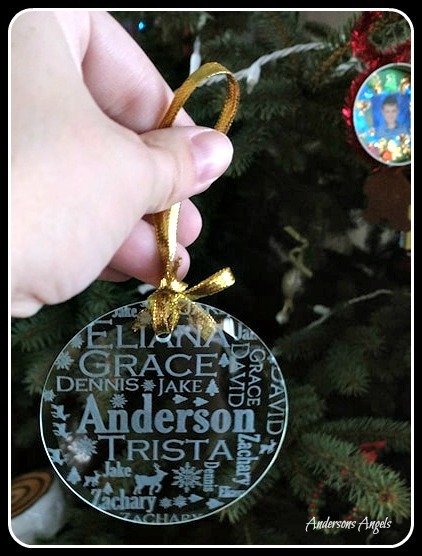 GiftsForYouNow.com offers a wide variety of items for the home and more that can personalized. That makes them a great gift to give anytime during the year. Whether you need a personalized gift for a wedding, baby shower, bridal shower, house warming gift or whatever the occasion may be that you need a unique gift for during the year. They offer a variety of different ways to personalize your purchase as well. You can pick from a variety of pictures, as well as pick from a wide variety of different fonts. All the different choices allows you to make sure that your gift is personalized exactly how you want it. 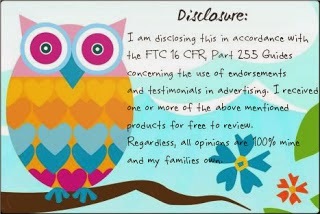 I really like that GiftsForYouNow.com offers free personalization on all their products. So you do not have to worry about paying extra to get your purchase personalized. They have a preview for you of what your purchase will look like so there will not be any surprise and it allows you to make sure it is to your liking before being made. I know that I am planning on getting some pictures made for my home and Mr. Andersons work office. If you are going to be looking for a great personalized gift in the upcoming year I would recommend checking out GiftsForYouNow.com! I am sure that you will be able to find the perfect personalized gift for whatever the occasion is you will be celebrating. That's to great i really like it!! Send gifts to Karachi from Canada.